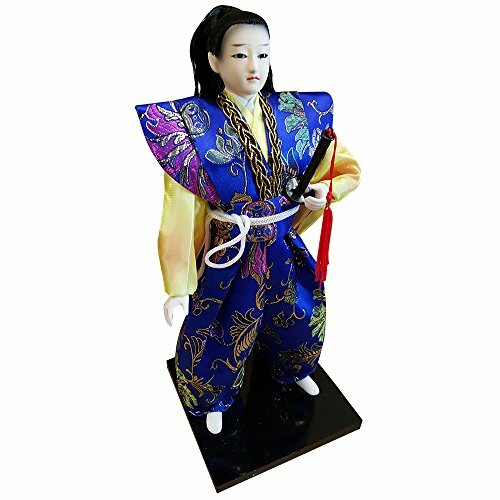 12" JAPANESE Samurai DOLL WITH THEATRICAL COSTUMEGet authentic oriental charm to your home decor or collection with this exquisite piece. Hand made porcelain japanese geisha doll in very detail silk brocade costume, making this exotic creation a stunning piece of oriental art.Size: H12" x W5" xD5"
Size Aprox: H12" x W5" xD5"
If you have any questions about this product by THY ARTS, contact us by completing and submitting the form below. If you are looking for a specif part number, please include it with your message.